I know I’m probably stating the obvious here, but in case you haven’t realized by now, I’m a bit of a shopping addict. I love finding fun, beautiful new things, but I’m poor with a tiny apartment so I need to limit myself to just a couple purchases per season. I’ve tried to search out really special items for myself, so I thought I’d periodically share some of my coolest finds with you all. 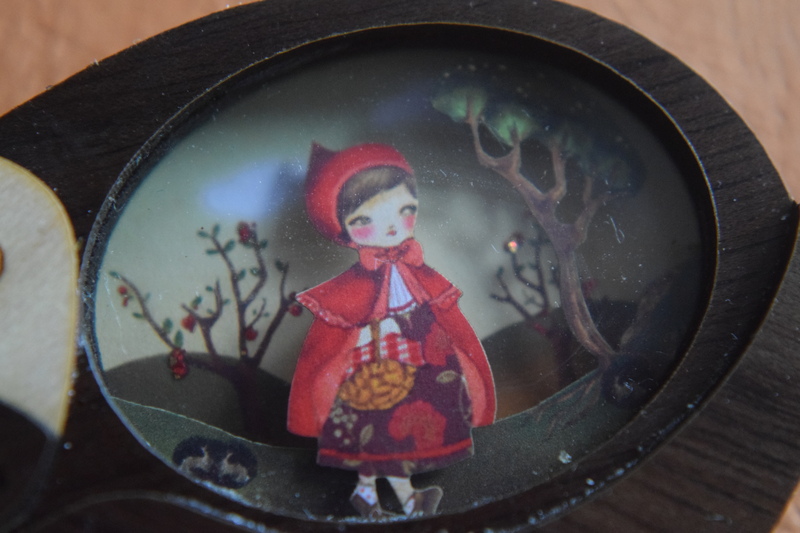 I stumbled upon LaliBlue’s Etsy Shop and fell immediately in love. 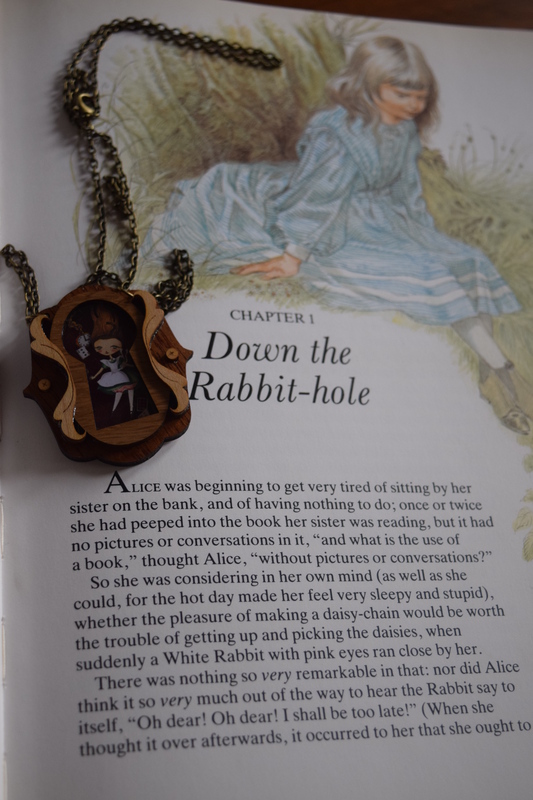 As a children’s book writer and fairy tale connoisseur, her amazing assortment of handmade diorama necklaces depicting stories like Cinderella and Alice in Wonderland spoke to me. 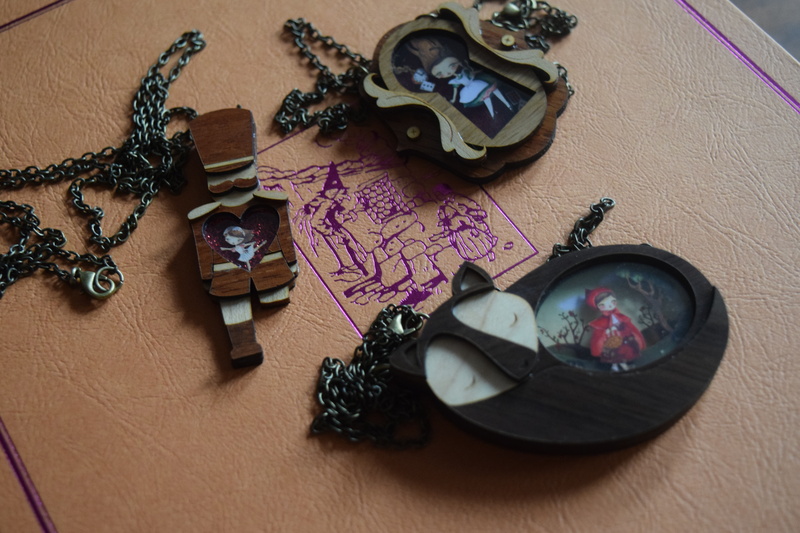 These handmade pieces are amazing quality and are tantamount to wearable art. I just had to grab a couple for my jewelry collection. Since this is an international purchase, I opted to save up a little and buy a couple at once to save on shipping. It was tough not to just add everything to my cart, but I managed to narrow it down to my favorite three. I thought I’d have some fun with the photos and pair a few with some books from my Fairy Tale Library. 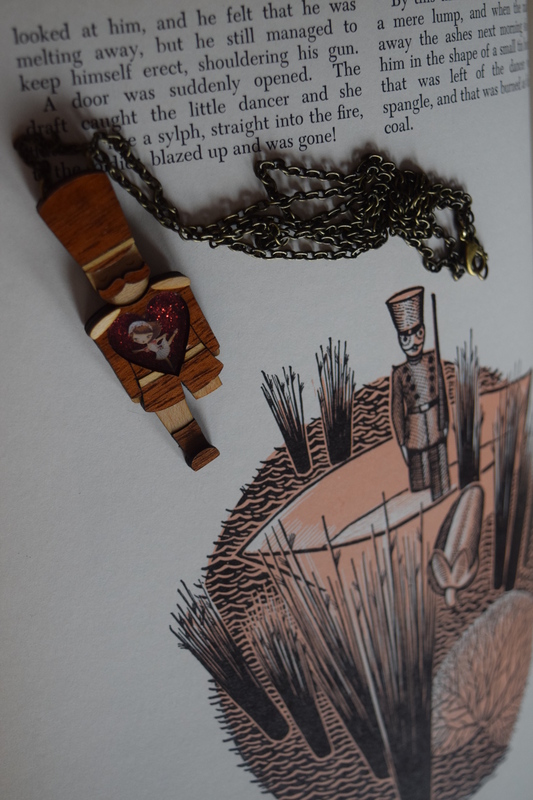 If you haven’t read Hans Christian Anderson’s “The Steadfast Tin Soldier”, you really must. 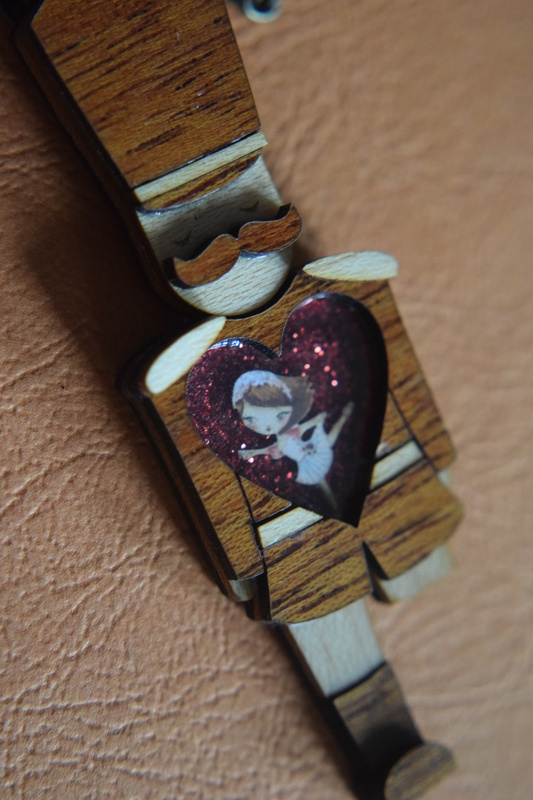 It’s the story of the one legged toy soldier in love with a paper ballerina. It’s sad, but so moving and one of my all-time favorite stories. 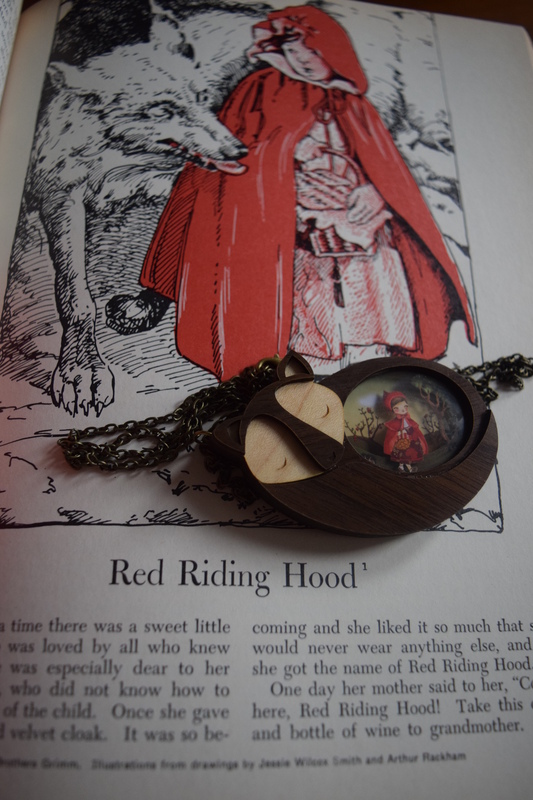 Is there anyone out there who hasn’t heard the story of Little Red Riding Hood? I fell in love with the sleeping wolf and the adorable diorama inside. Who’s afraid of the Big Bad Wolf? Not me, he’s way too cute. 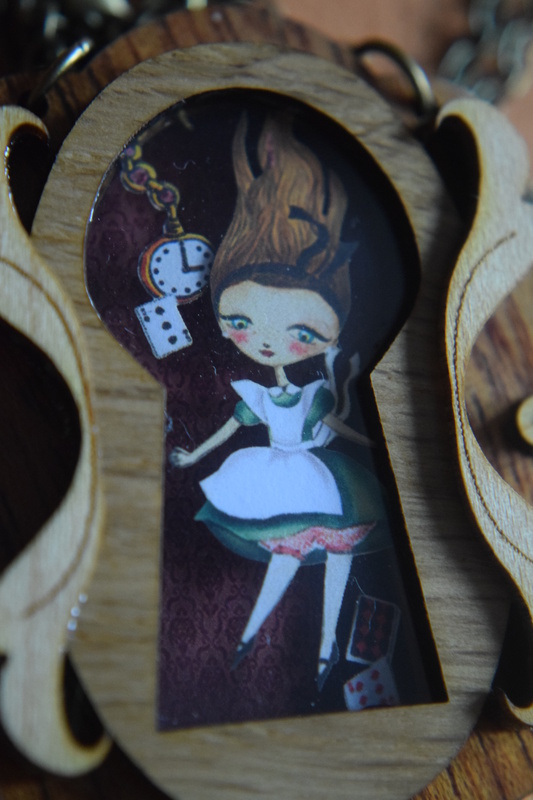 Alice in Wonderland is one of my favorite stories and has inspired so much of how I approach storytelling. There is a little kid in all of us that wants to fall down a rabbit hole and find a new, amazing world full of fantastical characters. I love the idea of being able to wear a bit of that magical wanderlust. These necklaces were so lovely that I couldn’t bear to hide them in my jewelry case, so I keep them in a little bowl on my dresser. They make me smile every time I see them. The cost is so reasonable for the level of craftsmanship. If you love fairy tales, I really recommend grabbing one for yourself. The shop also takes custom orders, so maybe once my own Fairy Tale book is out this Fall, I’ll order one about my own story. If you have Ebates, remember that Etsy is one of the stores available there. If you haven’t tried Ebates yet, it’s a great site for online shopping. You sign up for free, search for your favorite stores and use their links to go to the store website. After you purchase you get a percentage back of what you spend in your account. You can opt for them to mail you a check or send it to you through Paypal. If you do sign up, please consider using my affiliate link. Previous article	← Try the World Box & 15% off Coupon Code!